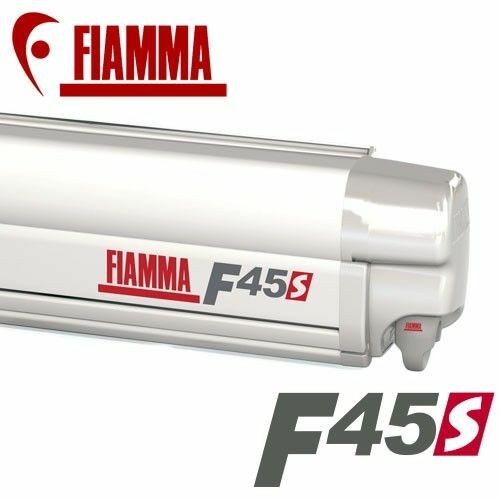 The new up-to-date model of Fiamma F45 awning. 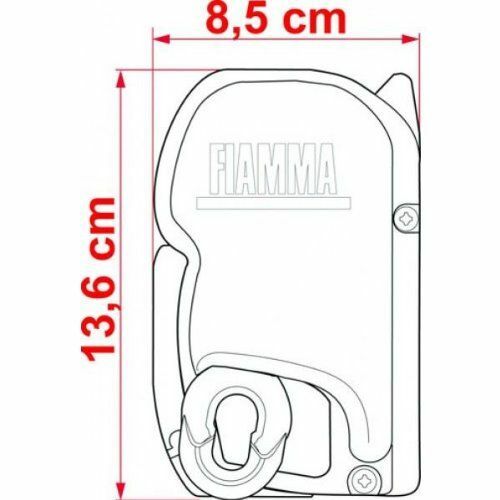 Renewed design that is more compact and more functional, a lot of technical improvements assuring that the F45S is the best choice for your holidays. 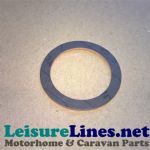 The ideal awning for your motorhome or campervan. 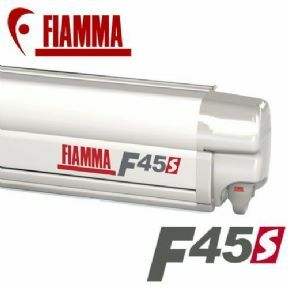 The Fiamma F45S Motorcaravan Awning has been the number one leader in motor caravan and camper van awning for many years. Made to the highest possible standards and using the finest quality materials and modern techniques, it is the only motorhome awning that is fast, user friendly and silent during opening and closing using the integral winch, and is designed to be quiet when travelling due to its aerodynamic shape. 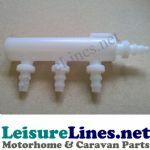 Supplied with standard 3-piece AS120 or AS400 installation kit for fitting to side wall of motorhome, Plastic Wall Brackets to install the legs against the side of the vehicle, guylines and pegs and winding handle, other kits are available for other vehicles. 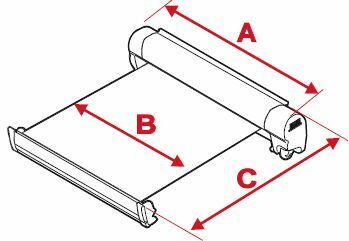 The F45S Awning is self-supporting and suitable for over door mounting. New Innovations included with the F45S are, double lead bar guide, drip moulding, arms preset for LED and reinforced leg knuckle.